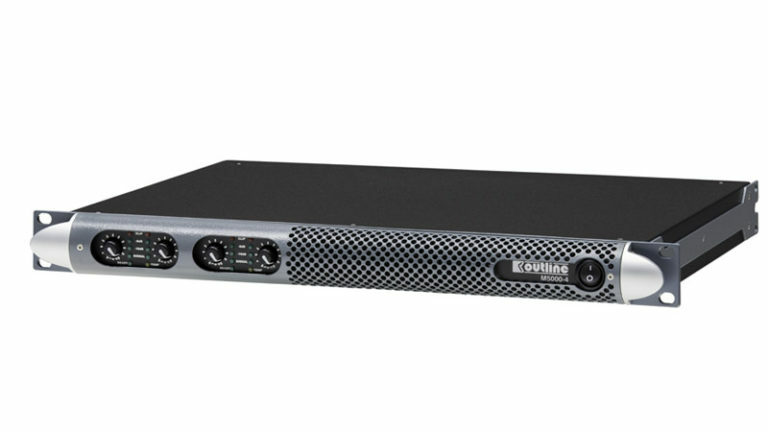 Equally versatile in both portable and installed system configurations, and with its four channels delivering up to 5000 W neatly packed in one single rack unit weighing just over 7.3 kg / 16 lb, the M series amplifiers are a flexible, cost-effective solution for small to medium sound systems. Bridge mode can also be obtained between CH 1/2 and CH 3/4 by picking up on pins 2+/2- on the NL4 output connector. When running in Bridge Mode the amplifier will deliver 2500 W into a minimum 8 ohm load.